Kosovar refugee Agim Shala, 2 years old, is passed through the barbed wire fence into the hands of grandparents at the camp run by United Arab Emirates in Kukes, Albania. The members of the large Shala family were reunited here after fleeing Prizren in Kosovo during the conflict. . (The grandparents had just crossed the border at Morina). The relatives who just arrived had to stay outside the camp until shelter was available. The next day members of the family had tents inside. The fence was the scene of many reunions. When the peace agreement was signed, they returned to Prizren to find their homes only mildly damaged. There were tears of joy and sadness from the family as the children were passed through the fence, symbolic of the innocence and horror of the conflict. 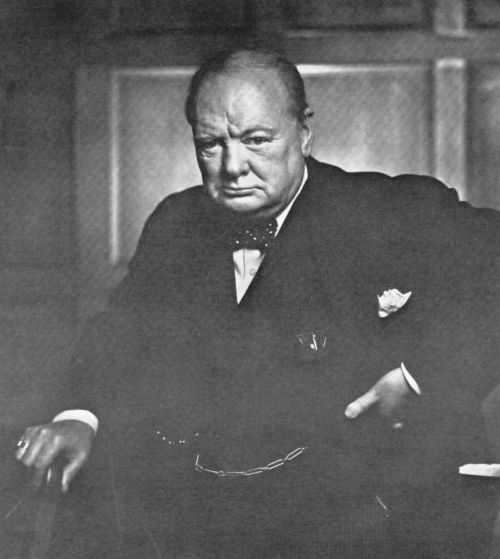 This photograph was taken by Yousuf Karsh, a Canadian photographer, when Winston Churchill came to Ottawa. The portrait of Churchill brought Karsh international fame. It is claimed to be the most reproduced photographic portrait in history. It also appeared on the cover of Life magazine. 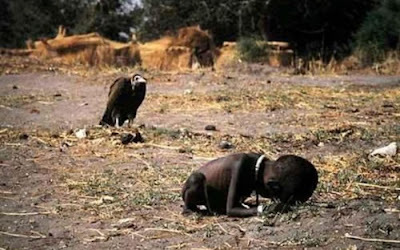 The photo is the "Pulitzer Prize" winning photo taken in 1994 during the Sudan Famine. left the place as soon as the photograph was taken. Three months later he committed suicide due to depression. Omayra Sánchez was a 13-year-old victim of the 1985 eruption of the Nevado del Ruiz volcano, which erupted on November 13, 1985, in Armero, Colombia causing massive lahars which killed nearly 25,000. Trapped for three days in water, concrete, and other debris before she died, Omayra captured the attention of the media as volunteer workers told of a girl they were unable to save. Videos of her communicating with workers, smiling and making gestures to video cameras circulated around the media. Her "courage and dignity" touched Frank Fournier and many other relief workers who gathered around her to pray and be with her. 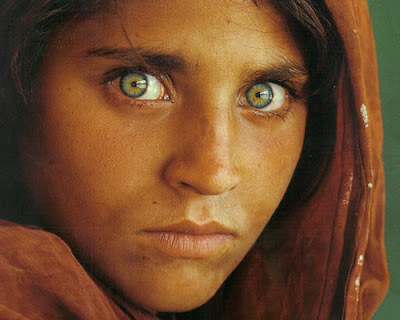 Sharbat is an Afghan woman who was the subject of a famous photograph by journalist Steve McCurry. Gul was living as a refugee in Pakistan during the time of the Soviet occupation of Afghanistan when she was photographed. The image brought her recognition when it was featured on the cover of the June 1985 issue of National Geographic Magazine at a time when she was approximately 12 years old. Gul was known throughout the world simply as "the Afghan Girl" until she was formally identified in early 2002. The photograph has been likened to Leonardo da Vinci's painting of the Mona Lisa and is sometimes popularly referred to as "the Afghan Mona Lisa".